When an organization has supportive leadership, the employee’s are less stressed and frustrated in the workplace which leads to more productive team. A supportive leader is genuinely interested in those around them, therefore they build trust and inspire others to overcome challenges. They know how to motivate and encourage team members which boosts their productivity. Unfortunately, not all leaders have this positive effect on their team. An untrained leader can damage team comradery if he or she criticizes others in a public setting and never offers acknowledge or encouragement. If they are angry or out-of-control, this can fray nerves and hamper your employees' abilities to problem solve when you need them at their best. They are aware of their own strengths and weaknesses. They are humble despite having a commanding presence in a crowded room. They have great control over their emotions which can sometimes be perceived as cold, aloof, or dispassionate. Contrary to popular belief, their calm demeanor when under pressure is the hallmark of a great leader. A great leader knows how to motivate others to do their best and they lead by example. They know how to get all members of the team to move in the same direction and they keep them motivated through good and bad. The greatest leaders want to get to the truth, therefore they ask their team questions and they listen to the answers. They’re also good at read what body language which helps them determine what’s not being said. They can handle difficult conversations with ease because they truly care about others and empathize with their difficulties. People need to know that their leaders are genuinely interested in them. Great leaders know how to give praise when it's due and when they give feedback, it doesn't come across as criticism. They want their team members to be their best and they are willing to do what they can to help them get there. 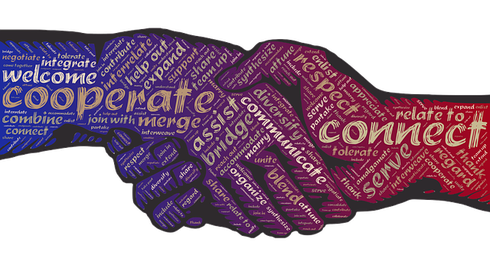 When conflicts arise, they are able to bring disagreements into the open get them resolved by encouraging team members to have an open discussion and helping each member recognize each other’s feelings to come to resolution. There's no better time to commit to the workforce and leadership goals you have for your company. Are you ready to start? Our management team can create an action plan for workplace and leadership development that's tailored specifically for your company. If you need assistance with creating a more supportive leadership team, contact us at 866-659-3400 ext. 7 or e-mail Fran Bishop at franb@afmsco.com. Since 1976, the year Congress adopted the process they use to pass budget and spending bills, the government has shut down 18 times. While the latest shutdown was only for three days, there is still the looming threat of uncertainty and the potential for a loss of income and revenue. 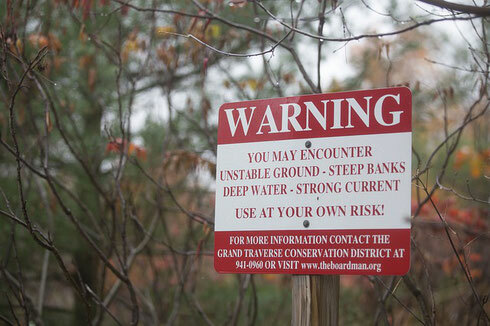 So what can you do to stabilize your business in an unstable climate? Consider forming strategic partnerships with companies that have goals and target markets that are similar to yours. This will drastically increase your company’s exposure and reach, help you acquire new customers, help you stay front-of-mind to your existing customers, position your company as a sought-after expert in your industry, and in turn, create new revenue streams. 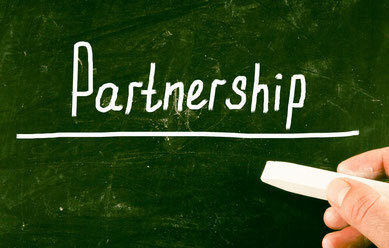 What exactly is a strategic partnership? A strategic partnership is formed when two companies join together to meet and exceed common goals together. 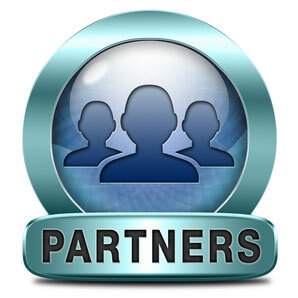 These types of partnerships allow the goals of both companies to align while providing benefits to both companies. FOR EXAMPLE: Banks and grocery stores have formed strategic partnerships that benefit their customers. PNC has partnered with Giant; Navy Federal Credit Union with Safeway - the goal, to make it convenient for their customers. The increase in traffic is mutually beneficial. Put a bank branch inside a grocery store and shoppers will come to that location and patronize both. How to identify viable companies for your strategic partnership? What is the specific outcome you are trying to achieve with this partnership? What does your company bring to the partnership and how does that benefit your potential partner(s)? 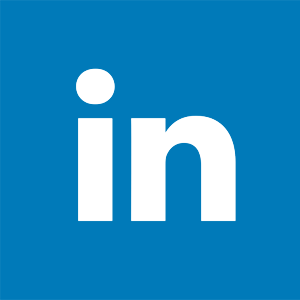 What specific benefits will your company experience with this partnership? Are the mission, values, and end goals of all companies involved in alignment? For Example: In 2015, Aerobodies Fitness formed a strategic partnership with the Auto Alliance to bring awareness to the issue of heat stroke resulting from leaving children unattended in vehicles. Since children’s safety is a big priority for them, we realized that our goals for creating happier, healthier kids were aligned with theirs. The partnership allowed the Auto Alliance direct access to schools, kids, and parents in our network – a demographic they were eager to target. It also gave us a powerful way to address kid’s health and safety that we hadn’t touched on before. So when forming beneficial strategic partnerships, don’t be afraid to look at companies in other industries that are not directly related to yours. The most important thing to have in common is the dedication to a cause and achieving an end goal both parties are passionate about. Take some time to think about how you can develop strategic partnerships that will allow your company to survive future government shutdowns. The next step is to make sure your company has something valuable to bring to the partnership. Click here for three ways you can ensure you’re an attractive company that others want to partner with. If your company is looking for a great strategic partner to help spread the message about your product or service offering, contact us and see how we may collaborate: Franb@afmsco.com. Throughout an employee’s career, the organization can find great mutual benefit by providing training options. The employee achieves fulfillment in achieving goals and develops greater competence. The organizational result is a team of more valuable employees. These training options include specific work-related items as well as more general education. You may find resources to meet many needs from one provider, such as AFC Management Services, or stitch together a plan with several suppliers. On-the-job training takes many forms. Work-related skills assessment and training is part of a workforce development program with two goals. Any gaps in mandatory capabilities, such as writing and math skills, can be addressed with core training, sometimes administered by outside entities, such as local community colleges or skilled professionals, such as AFC Management. Internal or external training in core competencies in areas of dealing with people, dealing with business, and self-management can help individuals improve in their jobs or build eligibility for advancement. 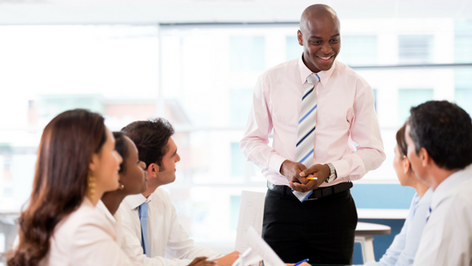 Executive development programs offer targeted skills enhancement for people rising to top leadership roles. Employees may also pursue outside academic goals while they are working full-time or part-time. For some employees, getting a GED is a significant step toward reaching qualification for additional job opportunities. Employees in entry-level positions may get support from their organization to achieve this goal. Likewise, many companies offer tuition assistance for college courses or degree completion at a bachelor, master or even doctoral level. In many cases, tuition rebate to the employee is contingent on satisfactory completion of courses or programs. Whatever the family needs, providing an Employee Assistance Plan (EAP) in the workplace can be a good starting point. The EAP is generally set up as a point of contact for assessment, counseling, referrals, and follow-up services in personal and family, legal, financial, and other areas where employees may need support. Alternatively, companies can arrange individual services from skilled experts in specific areas of needs. Contact Aerobodies to see how the mental health experts of our Occupational Health Staffing team can provide off-the-shelf support in these areas or create custom programs to meet your organization’s specific needs. For training resources and a copy of our capabilities statement, visit AFC Management Services as we provide a range of services from basic skill development to top-tier management training. With the average life expectancy in the U.S. of about 85 years, workers may enjoy decades of living after they retire. Hopefully, this means many active years of a healthy life. 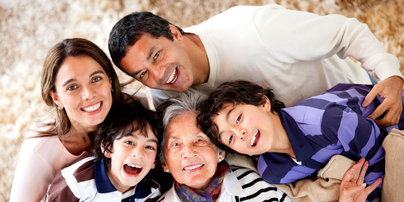 However, as people age, their children again become engaged in decisions and actions related to care. At this stage, decisions relate to elder care for workers’ aging parents, who may be starting to experience declining physical and mental health. The baby boomer generation has now reached retirement age, bringing a large increase in numbers of people experiencing or approaching elder needs. In this life phase, elders and their children are making choices related to long-term care insurance and assisted living choices. For many families, this is a stressful time, as elders are reluctant to leave the comfort zones of their lifelong homes and give up some level of independence. 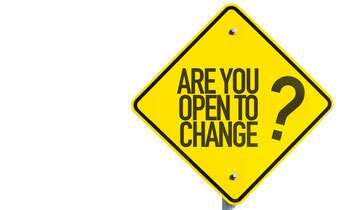 Counseling in change management can be helpful. While the end of life is a morbid thought, elders and their children may need support in planning for this event. Setting up a living will and defining advance directives related to end-of-life care can actually reduce some of the stress of this impending event by removing a bit of the uncertainty. Grief counseling after the loved one’s death can also be a valuable consideration to help employees deal with their grave loss. One part of addressing elder needs is promoting a healthy lifestyle to maximize individuals’ capability of enjoying life at any age. The health coaches at AFC Management Services can tailor a plan for needs related to diet and exercise, weight loss, specific health restrictions, and psychological issues related to aging. Human resource professionals can provide counseling and referrals in all these areas to help employees meet the needs of their aging family members as well as plan for their own future needs. Would you like to learn more about how an employee assistance plan can improve your organizations bottom line? Give us a call and see how we can help at 866-659-3400 ext. 7 or e-mail Fran Bishop at franb@afmsco.com. People go through many transitions during their lives. In earlier times workers often lived near extended family members who could provide support during times of change. According to Pew Research, in the 21st century over 60 per cent of people have moved away from their hometowns, many to find jobs. Now when people have to make decisions or need support for life events, they often look to their employers for help. In the early stages of an employee’s career, personal decision-making often centers on children. Family planning is an important consideration. 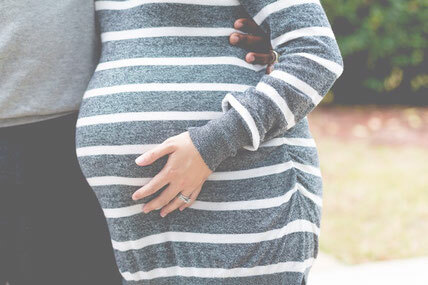 Employer-subsidized insurance often plays a key role in covering childbirth or adoption expenses. Although some amount of maternity, paternity, or adoption leave is mandated by local, state, or federal requirements, including the Family and Medical Leave Act, companies must make decisions about how they will manage paid or unpaid time off for new parents. They also need to deal with fairness in the workplace, creative temporary staffing of the job, and ensuring availability of an equitable position upon the employee’s return to work. It’s important to comply with any relevant laws and maintain good employee relations while also managing program costs and considering the organization’s bottom line. Childcare is a daily need for many employees. Inadequate care can cause a great deal of stress for a worker and lead to inefficiency at work or frequent lost hours of work to leave for emergencies or simply children’s medical or other activities. Some employers choose to provide an on-site childcare facility. This offers parents a convenient and affordable care option, especially helpful for mothers of new babies, who can slip away to nurse and bond with their young children. When an on-site facility is not practical, organizations may help employees in other ways. Some companies offer a childcare subsidy. A US News and World Report study showed that childcare for a single child ranged from $344 in rural South Carolina to $1,472 in the District of Columbia. In many states, average childcare costs are higher than college tuition. This expense eats up a significant chunk of a worker’s pay. An employer-provided childcare subsidy can provide the motivation to come to work rather than stay home and save the money on childcare expenses. Companies can also help employees look for state or federal financial support related to children. Lower-income families may qualify for government childcare subsidies or a portion of the earned income tax credit. The child and dependent care tax credit is available as income rises. Support for navigating the somewhat complex process of adoption benefits can help to maximize the employee’s financial outcome. The organization’s HR team or outside consultant may help employees walk through the process of determining eligibility and receiving these various benefits related to childcare. An employee assistance plan can enhance the benefits system you already have so that your employees can operate at top performance. Click here to learn more about how employee assistance plans can boost your bottom line. Contact AFC Management Services to view our case studies and learn more about the services we offer in areas of personal and family needs, eldercare, educational support, fitness and wellness, and many others. Your employees and your bottom line can benefit from your action. As a business leader you know that your people are your most important asset. Just like other physical assets, if they start to show wear and tear, they won’t be able to operate at top performance. Because you care about your people and because investment in their wellbeing is good for your bottom line, you may need to provide employee assistance. Learn about how employee assistance plans work so you can introduce a plan to your operations or enhance the system you already have. Workplace effectiveness is highly dependent on the valuable contributions of workers. This in turn depends not only on workers’ skills and competencies, but also on their health and wellness. 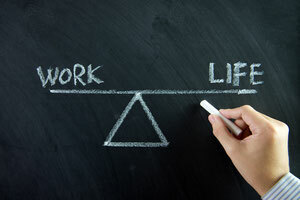 A healthy worker is free of illness and injury and also free of undue worry and stress so he or she can focus on assigned responsibilities while at work. In this series, we’ll look at several different areas of worker concern and talk about actions you as a business leader can take to help your workers and help your bottom line. Many organizations and corporations strive to provide an integrated care model for employees. Here we’ll focus on best practices in comprehensive, blended, performance-based programs for workplace employees in all areas of life and family. Your employees spend eight or more hours a day at work, contributing ideas, solving problems, helping colleagues, and performing many other important tasks in their specific assigned jobs as they contribute to your organization’s bottom line. Day after day, employees fill these roles at work and can count on supervisors, trainers, and peers to help them determine how to address work-related issues. However, employees may sometimes have difficulties outside of work and may also need expert advice on how to approach these personal problems. Outside worries are not only stressful for the employee, but they can ultimately lead to poor performance and other problems at work. It’s in the interest of the organization to help employees deal with these issues before they become major disruptive problems. Many companies offer an EAP as part of their benefits package. The organization retains the services of EAP experts with a goal of keeping employees healthy, both physically and emotionally, so that they can continue to contribute on the job. Outside counselors are hired to offer assessments, counseling, referrals, and follow-up services. Because the company can engage outside specialists rather than maintain expertise within the organization, a wide range of services can be offered effectively and affordably. These services are generally free to the employee and are available to all members of the employee’s household. While individual confidentiality is of the utmost importance, the organization may also work with the EAP providers to address general issues that affect multiple employees across the workplace. EAPs first appeared decades ago and were largely focused on addressing alcohol problems on the job. Today EAPs include numerous areas of service that top employers offer to retain top talent. In fact, making a call to the EAP provider is an excellent first step an employee can take for myriad problems. Many employees are surprised by the depth and breadth of services that are made available to them. When employees are dealing with personal issues, they may feel vulnerable. They may be especially concerned that demonstrating a personal weakness could cause them embarrassment with coworkers or distrust of their capabilities by supervisors. The employee receiving EAP support must have confidence that the details of his or her concerns are not made public to anyone within the organization. At the same time, a company may have site-wide issues that benefit from group counseling. After department layoffs, loss of a beloved colleague, an act of violence in the workplace, or extreme trauma in the community, a company may call on experts to provide public communication and group grief management exercises, with private counseling made available for individuals who need additional support. While employees generally have free participation in EAP services, the organization does pay fees to the providers, generally as an annual retainer related to number of people in the workplace or tied to actual rate of use. Often multiple providers are engaged to address varying areas of expertise. When selecting providers to serve your EAP, you should consider the needs of employees and the capabilities of the providers. Employee demographics may indicate where to focus. Young workers just starting families may need more help with basic financial planning, budgeting, and childcare support. Older workers may have greater needs for retirement planning, elder care support, and estate planning and wills. If you’re just starting out in establishing an EAP, you may want to anonymously survey employees with a menu of possible services to find out which have the greatest interest. Does the provider have demonstrated experience with organizations with similar size or demographics? How well do the services offered match your employees’ needs? How is the cost of the program determined? What case studies and demonstrated results can the provider show you? What type of assessment does the provider offer to demonstrate success of the program? Contact AFC Management Services to view our case studies and learn more about the services we offer in areas of personal and family needs, eldercare, educational support, fitness and wellness, and many others. Your employees and your bottom line can benefit from your action. It’s not hard to tell if you’re running a successful employee wellness program. After all, high participation is usually a clear indicator you’re offering wellness opportunities that resonate with your employees – at least right now. But how can you guarantee continued participation in the future? Which aspects of your programming are must-haves, and which elements (and costs) can be cut? What are the core elements that need to be in place, in order to help employees achieve their fitness goals? The answer to all these questions and more can be found through employee feedback and analysis. For those savvy enough to ask, “Why aren’t people participating?” a gap analysis can help you pinpoint the problem. From there, you can create workshops as a viable solution to help employees rethink their relationship to fitness, as well as their participation in your wellness program. We recently created a 4-part workshop series for a government client who wanted to find out why employees weren’t participating in their wellness program. Each workshop we offered taught employees about the programming options available to them, how to use them, and how the programs could improve their lives. Offering workshops alone is not enough. In order achieve program loyalty and increased participation long-term, you also have to get feedback on the workshops themselves, AND analyze your results. For our most recent government client, employees who attended workshops gave positive feedback on the speakers we chose, as well as the topics we offered. After completing each of the 4 workshops, over 90% of the participants signed up for the company’s Winter Fitness Challenge – a Key Performance Indicator that proved the workshops worked. Feedback and analysis is important at the executive level as well. In our post-workshop analysis, we observed that our client requested an additional two workshops be added to the schedule because they were so thrilled with the results. Another client, who originally requested biannual workshops, upgraded to quarterly workshops after reporting similar results. First, employees were learning how to achieve their fitness goals and re-frame their views of wellness by participating in these workshops. Second, their employers were meeting their goals for increased participation through the very same workshops. Now, these are two examples of a decidedly non-fitness-oriented community of employees making a drastic 180-degree turn and embracing the seasonal fitness and wellness programming offered to them. Had our results been less significant, we would have sought direct feedback from employees and management to find out how we could make the workshops more relevant to them. In the same way that we use a gap analysis to identify the reason behind low participation, we can use analysis to determine why employees seem influenced or unaffected by our workshops. This simple process is a proven turnkey solution we’ve used time and time again to achieve spectacular results. If you’re ready to boost participation in your employee wellness program, analysis is your best friend in determining why people aren’t participating, and what measures need to be implemented to get them away from their desks and into the gym. 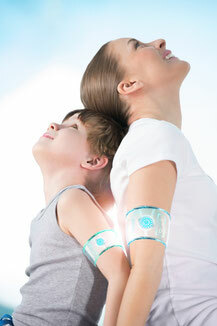 Do you remember the first time you used wearable fitness technology? If you’re like me, there was a definite learning curve! You can’t simply pick up a Fitbit and expect to magically get healthy overnight. 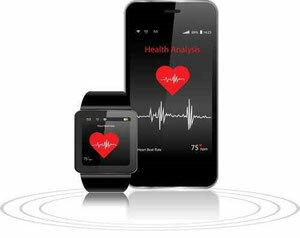 Wearable fitness technology is a powerful tool that must first be understood in order to be effective. Once you know how to use it, this tool offers unlimited potential in helping you reach your fitness goals. It’s the same with employee wellness programs. 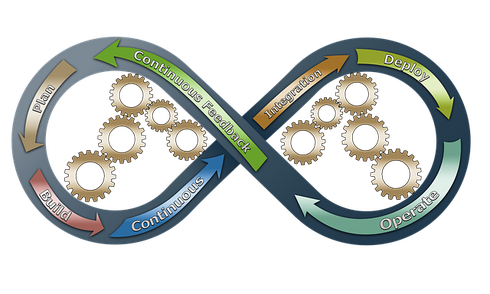 Offering a lot of feature-rich programming without showing your employees how to use it is sort of like offering someone a Fitbit without explaining how it works. They might figure it out, but chances are good they’ll simply get frustrated and give up altogether. In order to help your employees take advantage of everything your program has to offer, you have to frame each program element as a tool that can help them reach their personal goals. This can be accomplished through a series of workshops that teach employees about your wellness programs in a language that clarifies, motivates, and inspires them. Recently, a government agency hired us to identify the cause of low employee participation in their wellness program. After identifying gaps in their programming, we developed and produced a 4-part workshop series for their employees. Workshop 1 focused on identifying the thoughts and beliefs that prevent enhanced wellness. Employees learned new ways to think about exercise, fitness, health and well-being. They learned how to create a complete thought shift that helped them relate to the programming in a new way. Workshop 2 helped employees overcome information overload in terms of their health. Participants learned what they should pay attention to, and what’s just “white noise.” They also learned how to make educated decisions about their health and the health of their families. Workshop 3 showed employees how to apply insights gained in the first two workshops to their individual lifestyles and habits. Making the connection between concepts and real life is crucial to creating lasting interest in workplace wellness programs. Participants learned new ways to think about and approach fitness in terms of their specific, individualized needs and circumstances. Workshop 4 focused on long-term wellness solutions, including how to incorporate new healthy habits for the next 6 weeks, 6 months, and beyond. By showing employees exactly how to incorporate wellness programming into their short-term and long-term health goals, you lay the foundation for continued program involvement for years to come. Workshops are an extremely effective way to help your employees regain interest in your wellness program and consider possibilities they hadn’t thought of before. In order to implement this turnkey solution, we worked with our client to create four unique workshops focused on the areas most important to them: work/life balance, reducing stress, nutrition, and lifestyle. Since we often create these workshops for our clients, we had a strong foundation in place and were able to develop the entire program in less than 30 days. Thanks to our established network of thought leaders and wellness industry experts, we were also able to book the most relevant speakers and presenters to address our client’s specific goals for each workshop. If your employees are unsure about how your wellness program can benefit them, workshops are a wonderful tool to show them what’s available to them and how your programming can change their lives. The process begins with a gap analysis, where we identify the WHY behind low employee attendance in your program. Then we create an action plan to increase participation and employee satisfaction. When your employees don’t participate in your wellness program, you’re not just frustrated; you’re wasting precious resources on equipment, classes, instructors, and events that don’t offer a strong ROI. In our last blog post, we revealed how a gap analysis can help you pinpoint the problem and identify ‘the why’ behind low employee participation. When you understand why employees aren’t participating, you can develop a solution that addresses those objections. Then you can inspire them to get involved. Countless Aerobodies clients have found success using our turnkey, customizable workshop solutions to address gaps in their wellness programming. Workshops function as tools that help employees better utilize existing programming. Just as having a Fitbit is not enough to get fit, having an employee wellness program is not enough to guarantee participation. People need to know how to use the tool you’ve given them, and why that tool is important. Workshops serve this purpose by introducing your employees to various aspects of your wellness program, and helping them engage with those aspects in meaningful, personalized ways. Recently we helped our client, a government agency that employs doctors and scientists, develop a 4-part workshop series to address the gaps we identified in their programming. Employee participation was low because the doctors and scientists weren’t being spoken to in their language, which was the language of research, proof, and scientific analysis. They didn’t want to be sold on health and fitness; they wanted scientific proof that the programs being offered would indeed impact their health in a positive manner. After identifying this gap, we developed a workshop series that featured industry experts and clinical research. Thanks to Aerobodies’ pre-established network of experts, we were able to quickly draw upon our contacts and produce the workshops in just a few weeks. Once the employees learned about the programming in a language they understood, participation significantly increased. 65% of employees were drawn to the workshops because they featured subject matter experts they respected, and because they were formatted in a scientific manner they understood. Once employees attended these workshops and better understood why and how to use the programs available to them, 93% of them signed up for an upcoming winter fitness challenge. 1. Aerobodies workshops are turnkey solutions that can be implemented quickly and affordably. We offer workshop creation as an add-on service or as an a la carte service. Because we have a proven system in place to produce these workshops, and a network of subject matter experts on call, we can usually produce workshops in less than 30 days. 2. 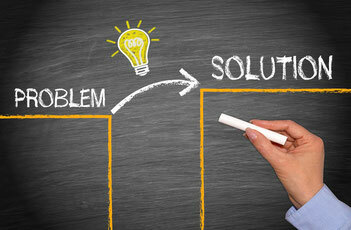 Workshops can be easily customized to solve your company’s most pressing problems. Our management experts are trained to understand the drivers that get employees out of their seats and into your program. We know how to identify the gaps and create a strategic solution that’s customized for your employees and their unique needs. 3. Workshops enhance the wellness programming you already have in place. There is no need to reinvent the wheel when you can use workshops to increase employee participation. Workshops are a tool that can be used to change the way your employees think about fitness, help them better understand how they can benefit from your program, and motivate them to reach their fitness goals through your program. If you’re looking for fast, effective solutions to enhance your employee wellness program, a gap analysis is a great place to start. We can help you pinpoint problems and develop swift solutions to dramatically increase participation and ROI. Back in the mid-1990s, fitness centers became the new standard in building design. Nearly every new building constructed had a gym or fitness center, and if it didn’t, it slowly lost business to the surrounding buildings that did. This trend quickly caught on in the corporate world as more and more employers began offering onsite fitness programming, including exercise spaces and equipment. Flash forward to 2015, when merely having a fitness center as an available option simply won’t do. Today, businesses are scrambling to create cutting-edge fitness centers designed with their employees in mind. When combined with ergonomic office equipment and fitness program management, strategic facility design becomes a powerful way to attract top talent, keep employees healthy, and establish your business as a leader in the development of wellness-focused company cultures. The design and layout of your fitness center is crucial to its success. A tired old gym with aging equipment simply won’t cut it in 2015! 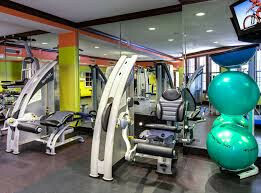 Instead of treating their fitness centers as separate entities, savvy business owners are working with the building and using its structure and layout to create unique fitness centers that encourage employee fitness and program participation. Another important aspect of your fitness center and workplace wellness is ergonomics, of the efficiency of your employees’ work spaces, work equipment, and work methods. 1. Invest in a strategic fitness center design that differentiates you from the competition, incorporates sustainable certifications like LEED, and offers exciting fitness options like rooftop yoga and lap pools. 2. Develop ergonomic solutions, both in terms of office equipment and design. Keep in mind that an ergonomics evaluation is the most cost-effective way to determine what you need (and what you don’t) to improve office ergonomics. 3. Utilize expert fitness program management to ensure increased employee participation, reduced health insurance costs, and a better ROI for every area of your wellness program. 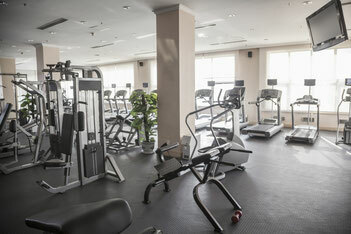 There are limitless options available for fitness center design and programming. Before you spend a dime on new equipment or a new design, make sure your money is being well spent. At Aerobodies-AFC, we provide a host of fitness center design solutions to help you find the most cost-effective way to positively impact employee wellness. Call (866) 659-3400 or email franb@afmsco.com to find out more. ‘Tis the season for workplace wellness! The holidays will be here before you know it, and as Halloween quickly turns into Thanksgiving, the open enrollment period for health insurance will begin for 2016. From November 1st, 2015 through January 31, 2016, your employees will be thinking about their health insurance options, which in turn will make them think about their overall health. Open enrollment is a great time to give your employees new and better options for monitoring, maintaining, and improving their health both in and out of the workplace. In addition to operating a workplace fitness program and dedicated fitness center, it’s important to give your employees ample options for preventative healthcare. By offering biometrics screenings and other health tests, you’ll be able to help your employees be more proactive about their health while preventing costly medical conditions like heart disease and diabetes. These tests serve as a biometrics baseline, and can be much more involved and complicated depending on the needs of your employees and your company. For example, many of our clients choose to do in-depth executive evaluations where we perform full-day screenings with a dedicated trauma unit. The more in-depth the data you collect, the more effective your workplace wellness program can be. Besides effective exercise programs and workplace wellness options, biometrics screenings and other health tests are the #1 way your company can reduce its health insurance spend. Just 15 to 20% of the population contributes to the highest health care costs. These costs include the treatment of more serious, chronic or life-threatening conditions like cancer, heart disease, and diabetes. Because many of these conditions can be prevented with early screenings and interventions, catching them early is critical, both for the wellbeing of your employees and the wellbeing of your budget. In order to reap the benefits of biometrics screenings, it’s crucial to find and work with an experienced company that performs these types of screenings regularly. 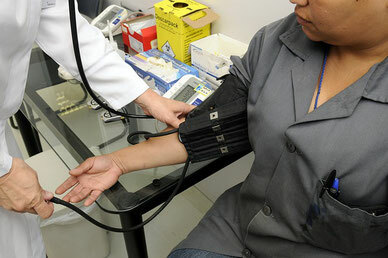 In most cases a team of healthcare professionals will be brought in to administer the appropriate tests. No matter the size of your business, facilitating a company-wide biometrics screening is a big undertaking with a lot of moving parts. In order to administer the tests properly, organize the collected data, and incorporate needed changes into your wellness program based on the test results, you must work with a company well-versed in biometrics screenings and their application. AFC Management provides biometrics screenings of all types to companies large and small. In our experience, these types of tests, when accurately designed to reflect and analyze the specific needs of your company, are the #1 way to reduce instances of disease, improve employee health, and prevent excess health insurance expenditures. When combined with a strong workplace wellness program and engaging fitness options, biometrics screenings becomes a powerful tool for improving the long-term wellbeing of your employees and your company. In our last blog post, we revealed the 3 foundational elements that must be in place in order to create and manage a flawless fitness center for your corporate employees. In Part 2 of our series on fitness center management, we’ll cover three additional strategies for turning your fitness center from an onsite gym to a comprehensive, integrative wellness experience. In addition to assessing employee attendance and analyzing current operations, it’s important to have a reporting system in place for each and every program you offer. Reporting needs to go beyond tracking employee participation, however. Besides attendance, employee engagement can be measured to assess the success and popularity of each program, the benefits provided, and the return on your investment of resources. 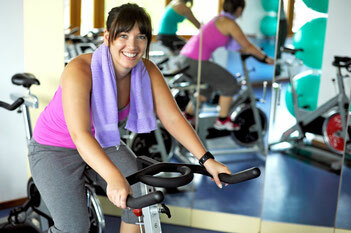 Your fitness center offers fitness classes, personal training sessions, wellness workshops and health screenings. Now it’s time to take it to the next level by adding even more value. Once a reporting system has been established, it’s easy to see exactly what employees want and need from your fitness center. From there, you can go above and beyond with value-adds like online fitness journals, access to wearable fitness technology, team-building events and competitions, and family-based fitness outings. Maintenance is crucial to your fitness center management, both in terms of equipment and facilities upkeep and maintaining relevant programming. A strong maintenance plan will allow you to accurately forecast equipment repairs and ensure employees are never frustrated by broken equipment. Fitness equipment that functions properly will motivate employees to be consistent with their fitness efforts and more easily reach their goals. It’s also important to view your fitness center programming from a maintenance perspective. Just because a certain program was popular five years ago doesn’t mean it’s relevant today. Corporate wellness is about more than just offering your employees access to your company’s fitness center. It’s about providing targeted options and ongoing support specific to the needs of your team, and creating happy, healthy employees who enjoy a high standard of living both in and out of the workplace. When your employees are happy and healthy, your business can thrive. But how can you be sure the programs, equipment, and classes available at your fitness center are exactly what they need to become and stay healthy? Simply follow our proven 6-step system for improving fitness center operations and flawlessly managing your corporate wellness programs. In this two-part series, we’ll reveal the 6 crucial elements every company needs to keep their fitness center running smoothly and keep program participation high. Whether you’re revamping your wellness program or opening a brand new fitness center for your employees, conducting a comprehensive assessment is crucial to your success. Assessing areas like patron usage times, equipment layout, and patron feedback will help you determine what changes need to be made, and how best to manage your wellness center for increased participation. Offering programs that appeal to your employees is the #1 way to increase attendance at your fitness center. Remember that programming needs to reach beyond mere physical fitness, and incorporate all areas of health and wellness. 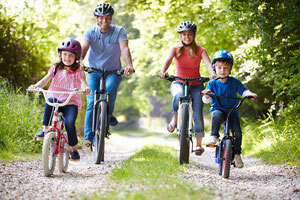 These include emotional health, mental health, seasonal health, safety, and more. Incorporating cutting edge technology into your fitness center will cut operation costs and increase enthusiasm for personal health and fitness. By using green technology and energy-efficient equipment, your company can greatly reduce the costs of running your fitness center. With a strategic assessment of your current operation, the implementation of strong programming, and the use of the latest technology, you’ll be well on your way to improving fitness center operations and creating a wellness environment your employees will love. But you’re not finished yet! In Part 2 of this series, we’ll reveal the remaining elements that must be included in order to achieve flawless fitness center management. For a sneak peek at our 6-part strategy, download your FREE copy of our whitepaper here: Six Successful Strategies for a Flawless Fitness Center. At AFC, we envision, produce, and execute a variety of different health and wellness events throughout the year. These events range from big fitness promotions with partners like Microsoft to intimate, community-based events for children and families. No matter who we’re serving or where the event takes place, we’ve discovered that the #1 most important ingredient for success is to incorporate technology into the event, both in terms of its promotion and the actual activities our participants take part in. Take MECKids, for instance. 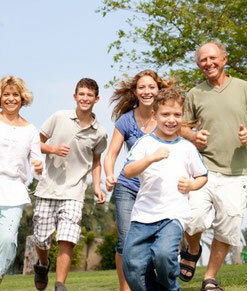 This organization was created to cater specifically to the health and fitness needs of kids and teens. Because today’s kids are very tech-savvy, we knew that incorporating technology into our fitness programs and live events would help get and keep kids interested in their own physical fitness. First, we created an online health and fitness network to help kids set and track their fitness goals. We then developed the “You Gotta Move” program, an interactive web-based contest that challenges kids to make tangible health and fitness changes to their lifestyle in just 90 days. 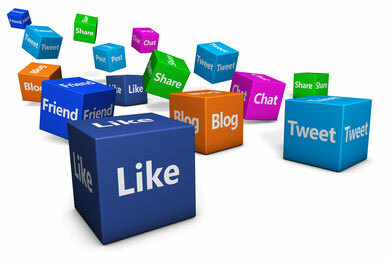 But the online component of this event is only one piece of the technological pie. “You Gotta Move” participants also use wearable fitness technology like pedometers and heart rate monitors to further involve them in tracking their fitness goals during the contest. In addition to web-based tracking and wearable fitness technology, MECKids hosts a variety of live fitness promotions and events throughout the year, including momnmeFIT, Get Kids Moving, and our upcoming feature at the Ford Neigborhood Awards in Atlanta, Georgia with none other than Steve Harvey. Attendees for these events are drawn from our web audience, who are eager to participate and further the progress they’ve made online, as well as connect with like-minded kids who are also meeting their fitness goals. At all of these events, we continue to incorporate cutting edge technology to keep kids excited about their fitness goals. Sponsors and partners like Microsoft and Sprint provide our participants with the opportunity to try and learn new technologies directly related to health and fitness, such as advances in wearable fitness technology and goal-tracking apps. But fitness technology isn’t just for kids! All of our fitness promotions and events incorporate web and other technologies in order to maximize the success of each participant before, during, and after the event. The Walk It OFFice fitness challenge combines a 90-day online contest for corporate employees sandwiched between two live events: a highly publicized outdoor media event followed by an elaborate awards ceremony. Between the two events, participants in the contest track their steps in an online walking journal that incorporates interactive maps, nutrition education, and motivational tips. While live events are unparalleled for inspiring kids and adults to get fit, incorporating technology is crucial for long-term goal achievement. Technology allows participants to take control of their health and fitness goals on their terms and on their schedule. Apps and wearable fitness technology make tracking fitness fun, and participating in an online community keeps everyone accountable to their goals. By using the power of web-based technologies and wearable fitness technology, you can significantly increase the impact of your fitness event and empower participants to make real, lasting changes in their fitness levels before, during, and after your event. We talk the talk, but can we really walk the (fitness tech event) walk? See for yourself by attending the MECKids Racing team, where MECKids will partner with Children’s National Medical Center to bring families together to raise awareness and support children’s health research. A day packed with health, fitness and lots of fun. Join our MECKIDS RACE team. For more information on incorporating technology into your next fitness programs and fitness center offerings, download our FREE whitepaper, Six Successful Strategies for a Flawless Fitness Center. Hosting a successful fitness event is a huge undertaking, a massive challenge, and one of the most rewarding things you can do to serve your target audience. Fitness events bring communities together while helping teams and families form lasting bonds that stretch beyond the office, the gym, and the playground. At AFC, we’ve produced and partnered on dozens of fitness promotions and events over the past several decades. Through a lot of trial and error, we’ve discovered what works and what doesn’t when it comes to getting people involved and excited about their fitness and health. It’s great to have goals for your fitness event, but don’t let your hunger for success supersede your desire to be of service to your audience. The best events we’ve hosted, from our “You Gotta Move” MECKids contest to our Walk It OFFice wellness event for adults, were created and executed from a place of service to our participants. All of the other benefits of hosting a successful event were merely icing on the cake. A great fitness promotion or event is targeted toward a specific audience, target market, or community. The best way to be of service to your customers is to first define who, exactly, you want to serve. While MECKids is focused on kids and their families, we streamline our targeting for each event we produce in order to appeal to even more specific demographics. Our “momNmeFit” event, for instance, targets mothers with school-aged children, while our “Walk It OFFice” event is geared toward employees in the legal profession. Obesity in 6 to 11-year olds has more than doubled over the past two decades. That’s a very specific problem that our MECKids “You Gotta Move” event was created to solve. Once you have identified who you’re serving, take a close look at their most pressing fitness and health concerns. Some groups will resonate with an event focused on weight loss, while others will love learning about healthy cooking and eating habits. Make sure the goal of your event is for attendees to leave with actionable tips they can take home and implement once the event is over. In this way, your fitness event will provide value to attendees during the event and help them to make lifelong improvements. The foundation of our “Walk it OFFice” and “Lose to Win” events is the ability to integrate an interactive health and wellness tracking system for employees spread out in different locations which allows them to monitor their fitness goals online. By using technology to get employees excited about fitness, we’ve built a loyal tribe of followers that jump to attend every live event we produce. Using technology to promote live events, and using live events to complement technology, are two powerful ways to increase your reach and event attendance. Whether we’re partnering with Microsoft to help kids track their fitness, or launching a 90-day walking challenge for corporate employees, our focus is on building supportive teams and communities. The best fitness promotions and events leverage the power of groups and teams to help everyone involved meet their fitness goals. 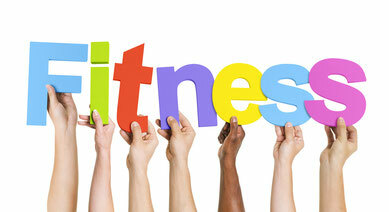 Your next fitness promotion or event is sure to be a success! Simply remember to stay focused on service, define your target market, solve a tangible problem, use technology as a tool, and focus on team-building. The Race for Every Child to benefit Children's National Health System is a fun-filled annual family event with a serious purpose: To bring the Washington metropolitan community together to encourage children's health and wellness and to raise much-needed funds that help the region's only children's hospital provide world-class preventive and critical medical care to every family in need. We are excited to be part of the amazing event! Join Our Team! Forming mutually beneficial strategic partnerships is an important part of your long-term business strategy. In Part 1 of this series, we looked at the benefits of forming such partnerships, and how to find the right kind of strategic partners for your company. Part 2 will show you how to become the kind of strategic partner that is sought after by other companies, and how to create an environment where the perfect partners are constantly approaching you. When forming strategic partnerships, you may be tempted to think about how you can woo other companies to partner with you, and how those companies can benefit your business. But great strategic partners take an opposite approach to ensure their longevity. In order to leverage strategic partnerships to grow our business, Aerobodies has developed the following system. Over the past 20 years it has worked well for us, and I’m confident it will work for you too! 1. Strive to become a great partner, not just find a great partner. Turn your focus inward and make an honest assessment of what you can offer a potential partner. Getting clear on what you have to offer and what you do well will help you connect with the most beneficial partners possible. Strategic partnering is nothing more than an extension of networking. To be a great networker, you need to be consistent. As your company pursues its goals, reaches out to your target market, and works for the causes you’re most passionate about, you’ll have ample opportunities to connect with vendors, customers, industry leaders, and even celebrities. Exchanging business cards at a single event does not create a strategic partnership. In order to reap the long-term benefits of partnering, it’s crucial to develop a networking system that is focused on authentic relationship development, not just a one-time pairing. A company’s size and revenue is less important for strategic partnering than a company’s goals. Once you have identified your end goal for entering a strategic partnership, the next step is to identify those companies, brands, and celebrities that share the same goal. For our company, pursuing a cause we’re passionate about – kid’s health and wellness - has helped us form countless strategic partnerships with organizations that share the same passion. Since many companies want to make an impact on kids and families in their local communities, we have to do very little ‘selling’. Instead, we demonstrate the impact our programs are making and partners approach us, asking how they can get involved. Example: MECKids recently partnered with Microsoft to introduce MECKids children and parent members to their new wearable fitness technology, the MSFT Band and the XBOX 360-Fitness. The partnership will allow Microsoft to get involved with local communities, showcase their new products, and educate consumers that they’ve entered the competitive wearable tech arena. It will allow MECKids to showcase new and exciting technology at our events, and also provide us with a space to hold our events – a win-win for both partners! If you’re ready to form long-term, beneficial strategic partnerships, the first thing to do is get crystal clear on what you bring to the table. Once you know exactly what your company does best and what you have to offer, it’s easy to find other companies that will benefit from your services. What’s more, when your strategic partners are in the market for the products and services your company provides, you’re sure to be the first person they call. Is your company looking for a great strategic partner to help spread the message about your product or service offering? If so contact us and see how we may collaborate: Franb@afmsco.com. Forming long-lasting strategic partnerships with like-minded companies is one of the most effective ways to assure the stability of your business. It’s been said that good business is all about networking, and that’s true both at the individual and the corporate level. By joining forces with companies that have similar goals and target markets as yours, it’s possible to drastically expand your reach, increase positive exposure, and position yourself as a sought-after industry expert. Are you ready to partner up? Let’s go! A strategic partnership is formed when organizations with similar goals join forces to meet and exceed those goals together. Partnerships like this allow the goals of separate entities to align while providing benefits to both companies. In many cases, strong strategic partnerships can be formed between companies, brands, and individuals that, on the surface, seem to have little in common. But it’s the sharing of common goals, not necessarily common business practices that makes these alignments so powerful. Example: During their Back to School campaign last year, Staples partnered with pop star Katy Perry to get kids excited about the coming school year. Perry held a contest where she offered to perform at the school that created the best Roar music video, and ABC hopped on board to televise the whole thing. Staples sells school supplies, Perry sells albums, and ABC sells advertising on its network. But all three strategic partners wanted face time with the lucrative 10-25 year-old age group, and this contest was a win-win-win for all three. Strategic partnerships help you stay relevant to your customers, even when you’re not selling to them. When you form partnerships, especially around social causes, you end up constantly networking with vendors and clients at live and online events. The more partnerships you have, the more involved you’ll be with your particular target market without the need for hard-selling. Then, when the customer is ready to buy, you’ll be at the forefront of their mind. In addition to staying top of mind and saving time hard-selling, strategic partnerships also help you increase business revenue. More and more opportunities will fall into your lap as companies come to you with their needs (instead of you chasing after them!). It’s clear that forming strong strategic partnerships is essential to your business’s success. So how do you find the perfect partners for your company? Identify what you’re looking to gain from the relationship. What specific outcome are you trying to achieve with this partnership? Get clear on what you bring to the partnership and how you can benefit your partner. Look at specific ways in which the partner can benefit you. Make sure your company’s mission, values, and end goals are in line with those of your partner. Example: Aerobodies Fitness recently formed a strategic partnership with the Auto Alliance. Since children’s safety is a big priority for them, we realized that our goals for creating happier, healthier kids were aligned with theirs. The partnership allowed the Auto Alliance direct access to schools, kids, and parents – a demographic they were eager to target. It also gave us a powerful way to address kid’s health and safety that we hadn’t touched on before. When forming beneficial strategic partnerships, don’t be afraid to look to other industries that may seem unrelated to yours. The most important thing to have in common is the dedication to a cause and end goal both parties are passionate about. In Part 2 of this series, we’ll identify ways in which strategic partnerships foster long-term business growth and see how companies like Aerobodies, MECKids, and Microsoft are using these types of partnerships to meet their business goals. Golf, fine dining, a 5-star luxury spa…what better way to reward top achievers in your fitness program than with a trip to La Torretta? This is a great place for business functions and retreats, or for simply giving your employees a much-deserved break. 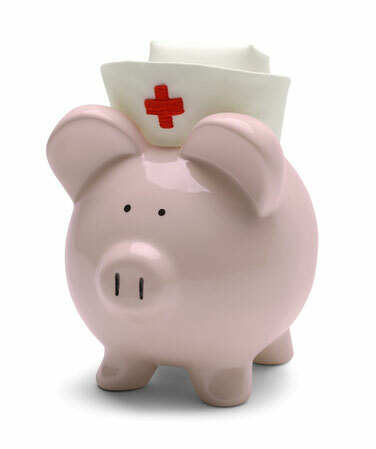 Let us support you in reducing the healthcare cost for your company. Please contact Fran at Franb@afmsco.com or call 866.659.3400 for more information. Last month I revealed 5 effective ways to increase sign-up’s and participation in your Employee Wellness Program. This month, you’ll learn how to move beyond the initial sign-up, and ensure that interest and participation in your program only grows stronger with time. After all, it’s much easier to keep the current Wellness Program members you already have than it is to recruit new members. Offering ‘one and done’ upfront incentives is not enough to retain your membership long-term. Instead, it’s crucial to continually find fresh, relevant incentives to keep participation levels high and engagement consistent over time. Last month we identified your target market and discussed ways to engage with them through your program offerings. Now it’s time to dig deeper and capitalize on your employee’s specific interests. Armed with information like this, you’ll be able to create and offer wellness programs that specifically relate to your employee’s interests and needs in a way that moves beyond face value. Don’t just research employee demographics. Look at behavior and psychology to find and serve specific needs on an ongoing basis. When you think like an individual employee, you can immediately see which aspects of your program are most relevant to that employee. This step takes you beyond the needs of specific employee groups and allows you to access the needs and wants of individual employees. In thinking of the needs of individuals, are you certain your program offerings are relevant to them? 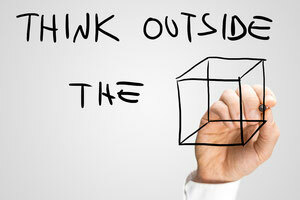 If not, it’s time to take another look at what your employees truly want. Your proposed budget has a direct impact on employee participation. Employees need to know that the company is vested in them, and that the program is sustainable. An exciting one-time event might be fun, but if your goal is long-term participation. Make a list of line items and resources needed to sustain the program long-term. If your company is willing to invest in its employees, your employees will be willing to invest in the program. If your employees aren’t required to invest in your program up front, engagement and participation will be adversely affected because the employee is not emotionally invested in the program. Make sure they have some skin in the game by requiring payment up front. Employees are far more likely to participate if neglecting to do so means wasting money they’ve already spent. The final key to growing a sustainable wellness program is to promote and reward consistent participation among members. Do case studies and profile employees who are successfully using the program. Continue to market the program as an effective and fun affirmation of company culture. 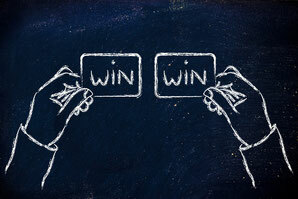 Reward participation by holding contests and championing those who are consistently involved. Getting employees to sign up for your wellness program is only half the battle. 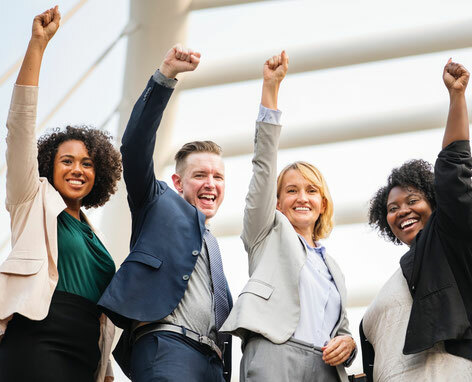 The key to lasting success is consistency on all fronts: dig deep to find relevant offerings for your employees, continue to engage them after sign-up, require an investment of time and money, and reward participation in fun, creative ways. Do you want to create a customized wellness program that brings long-term results in 2015 for your organization? Let us support you. Please contact Fran at Franb@afmsco.com or call 866.659.3400 for more information. As we’re thrust deeper into the holiday season with thoughts focused on the New Year, a great temptation is about to rear its ugly head. No, it’s not the temptation of yet another batch of holiday cookies. It’s the impossible-to-resist pull to set unrealistic, Herculean goals for 2015. And yet while the setting of New Year’s resolutions isn’t a problem in itself, making unrealistic promises to one self or others disrupts balance and ends up making you feel more frazzled than ever. You want 2015 to be a great year. You have 20, maybe even 100 different things you’d like to achieve. But a goal without a realistic plan is merely wishful thinking. Create a goal board and/or calendar and choose ONE goal per month for the first quarter of 2015. Choosing fewer goals will not only help you prioritize; it will help you create a manageable plan for actually achieving those goals as well. What do you really, truly want in 2015? On the surface, your goals might include launching a new business, getting healthy, spending more time with family, and other worthwhile pursuits. But what is at the core, or heart, of those goals? 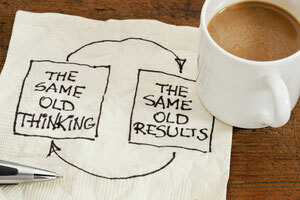 What is your “why” behind seeking a new business, a healthier body, or better state of mind? Determining what you truly want underneath the surface will help you choose goals that reflect your deepest aspirations. It will also help you shift your lifestyle and bring every aspect of your life into balance. You’re not alone when it comes to achieving goals and cultivating balance in 2015. Examine some different resources, including blogs, books, mastermind groups, and coaches, and see which of these resources can help you achieve your goals. The resources you choose should not only help you reach your goals, but should help you focus on your overall performance and create more equilibrium in your life. Be honest – what aspects of your life are just not working for you? Which facets do you love and want more of in 2015? Sometimes it can be difficult to know from where your lack of balance originates. Take a good, hard look at what’s working and why those aspects of your life make you happy. Take another hard look at what’s causing you stress and draining your energy. Keep in mind that goals can also include ending toxic relationships and spending less time and energy on certain projects and/or people. It may sound counterintuitive, but one of the most effective ways of reaching your goals is by doing something totally unrelated to your goals. Take a vacation, sign up for an art class, attend a conference, or treat yourself to something seemingly unrelated to your personal and professional life. You’ll not only learn about yourself and the world; you’ll discover surprising answers and new perspectives that will, in turn, help you achieve your goals that much faster. A wonderful goal-setting treat for 2015 is called Excuse Me, Your Life Is Waiting. This book, by author Lynn Grabhorn, will help you get laser-focused about what you want to achieve and how you’re going to get there in 2015. In Chapter Three, Grabhorn writes, “Focus on what you don’t want, and watch it get bigger. If you’re giving some passionate attention to something you truly do not want, it will eventually grow up to smack you.” Focus instead on what you DO want, and be sure that focus is directed toward one goal at a time. If you had to narrow it down, what is your ONE goal for 2015? 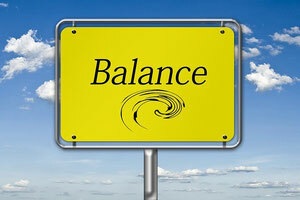 Do you want professional guidance on how to a balanced and focused life? Let us support you. Please contact Fran at Franb@afmsco.com or call 866.659.3400 for more information. ‘Tis the season to be grateful – for your family, your friends, your work and your health. But as we near the end of the year and take stock of all the good things in our lives, don’t forget to spend some time appreciating yourself. During this busy time of year, it can be more challenging than ever to cultivate balance, take time for yourself and give thanks for all you have accomplished. So often we spend our days doing, doing, doing. Then the holiday season comes and we DO even more, without ever stopping to pause, self-nurture, and appreciation all we give and all we have to offer. Here are 7 easy ways to show gratitude – not just for others, but for yourself and all you are. Don’t feel guilty about splurging a bit this season. Get the massage, book the manicure, and indulge your senses even more than usual. You might want to book a massage every week from now until the end of the year, or try out a new treatment like acupuncture. I personally love Reflexology because it works on specific triggers in the body and clears away negative energy. Find a treatment that makes you feel special – even pampered! – and reward yourself! Another great way to engage in self-care is to get conscious about the foods you’re eating. No, I’m not talking about going on a diet or skipping your favorite holidays foods. I am talking about noticing what foods you’re choosing instead of simply grabbing and going without a second thought. Your conscious attention will lead you to foods that nourish and nurture, instead of foods that leave you feeling tired, cranky, and unsatisfied. Cultivating a serene, supportive environment is a wonderful way to give thanks for you. All of these environmental tools help you create a space in which to be healthy. If you can’t imagine your dreams coming true, how will they ever materialize in the world? Create a vision board using magazine clippings, newspapers, or a secret board on Pinterest. Use colors, shapes, and images that represent your ideal life, and then watch as those things miraculously start to appear wherever you look. One of the most powerful ways to appreciate yourself it to fire your toxic friends. yourself first. If a friend or family member is detracting, instead of adding to, your personal health, be brave enough to step away. Is your work environment healthy or toxic? Does is add or retract from your physical and spiritual well-being? This season, take a good, hard look at how your work environment and work relationships impact your happiness. If you don’t like what you see, be open to the possibility of change in the New Year. Ok, it doesn’t necessarily have to be a painting class (although the painting and wine class I recently took was the most fun I’ve had in years!). If you have a long lost interest or passion, search for classes or opportunities in your area. You’ll be able to connect with those who have similar interests and may even find yourself surrounded by the warmth of a new community – just in time for the holidays. You spend the entire year doing for others, but now it’s time to turn that attention inward. This season, I invite you to go all out. So get the massage, go to Whole Foods, book a day trip, or take that painting class. There’s no better way to express self-gratitude than by nurturing the self! Do you want more specific help on how to show more appreciation for yourself? If the answer is yes, please contact Fran at Franb@afmsco.com or call 866.659.3400 for more information.